Limagrain UK, OPICO and Sustainable Soil Management are offering free soil advice, 10 acres of premium grass seed mixture and the seeding work for the fresh grass sample that tests highest for metabolizable energy (ME) at this year’s Grassland and Muck Event, Stoneleigh, May 24/25. 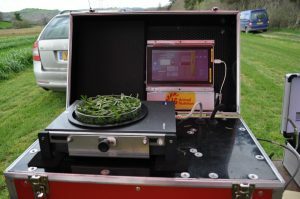 Farmers are invited to bring a bag of freshly picked grass to the Limagrain stand on plot 121 where its NIRS mobile testing machine will analyse the sample and provide a nutritional analysis of the crop. The top prize, valued at £1500, will go to the sample with the highest ME across the two-day event. Limagrain will be demonstrating its LG Animal Nutrition (LGAN) grass seed mixtures that have been specifically developed for their combined yield and feed values and have been shown to have more digestible fibre. 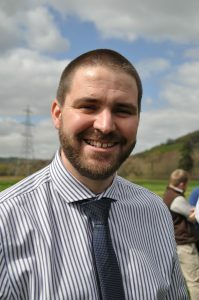 “The aim is to grow high energy grass,” adds Mr Spence. “A significant proportion of this energy comes from the fibre. The higher proportion of digestible neutral detergent fibre (DNDF) in the grass varieties used in the LGAN mixtures and the inclusion of more palatable tetraploid varieties, that cows prefer over diploid grass varieties, helps to boost the grass’ feed value and boost intakes. · Plant breeders and suppliers of superior seed varieties for farmers, growers and the food and amenity industries. · Limagrain UK is the local agricultural seeds operating company of Group Limagrain. Limagrain is an international agricultural co-operative group, specialized in field seeds, vegetable seeds and cereal products. Founded and managed by French farmers, the co-operative is anchored in Auvergne, the region of its 2,000 farmer members. · As the 4th largest seed company in the world, European leader for functional flours and the largest French industrial producer of bakery products, the group makes annual sales of almost 2 billion Euros. It has a headcount of nearly 8,200, spread out over 39 countries, including more than 1,750 employees in research. It conducts its business within the framework of a global, sustainable vision of agriculture and agri-food based on innovation and regulation of agricultural markets.